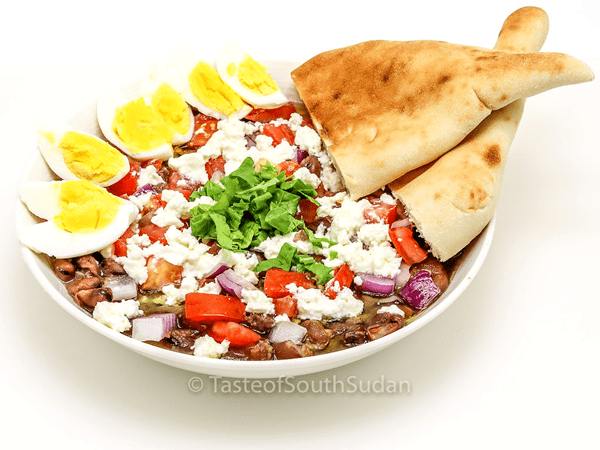 Ful medames Sudanese fava beans is an all-time breakfast dish of Sudan, South Sudan, Egypt and many Mediterranean countries. Sudanese call it Sahan ful (a plate of beans) or ful masri(Egyptian beans). It is a vegetarian protein rich dish garnished with fresh onions, tomatoes, rocket leaves, feta cheese, boiled eggs and sesame oil. Sudanese fava beans are served for breakfast, usually with bread. We use dry fava beans to make ful medames. The scientific word for fava beans is Vicia fabaand according to Wikipedia it is native to North Africa and southwest and south Asia. Fava beans have been cultivated in old world agriculture, and along the Mediterranean around 6000BC. Fava beans are also called broad beans or horse beans. The fresh green beans are cooked into many dishes around the world. Hi there. My name is Noela Mogga. I am a physician, mother, food blogger. I was born in South Sudan. 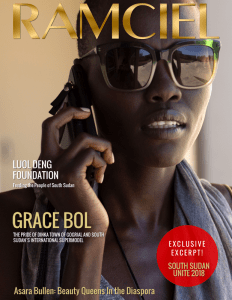 I plan to showcase tasty South Sudan food recipes, traditional customs, and natural beauty regimens. When I am not busy practicing Anesthesiology in my adopted state of Texas, I can be found whipping delicious meals for my husband and children.